​Aldergrove, BC — Dead Frog Brewery is pleased to announce the release of a new Imperial Red Ale, an exciting new collaboration with legendary Vancouver-based international skateboarding icons, Red Dragon Apparel. The partnership came about when Red Dragon approached Dead Frog last year. 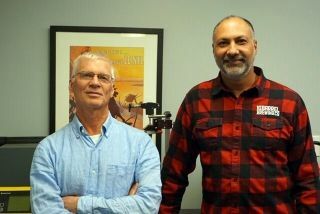 “We’ve always been a fan of Dead Frog and their beer line,” said Matt Meadows, Marketing Manager for Red Dragon Apparel. “So when considering the idea of doing a collaboration brew, they were our first and only choice! 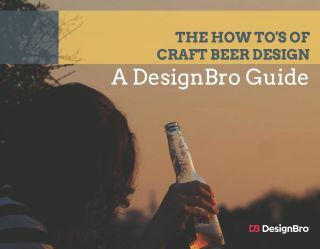 As we began talks with Dead Frog, right off the bat they understood what we were looking for in an RDS beer – a strong ale that makes no excuses for what it is, just like RDS. 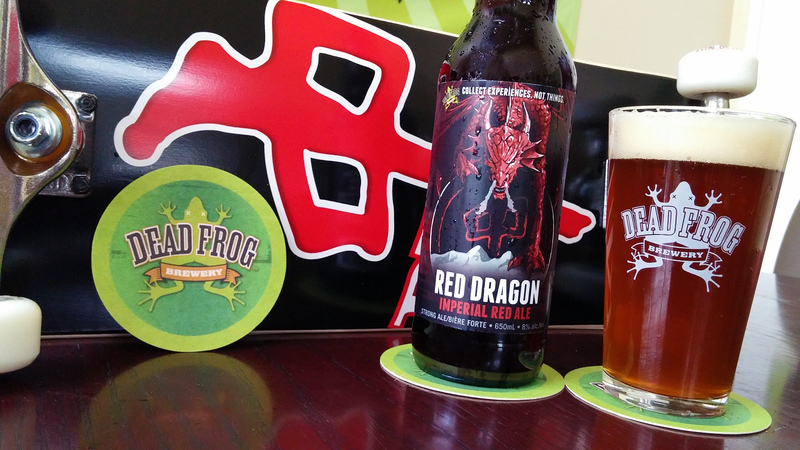 For Dead Frog, Red Dragon’s brand immediately suggested a strong red ale in keeping with the power of that mythical creature. The medium-bodied Red Dragon Imperial Red Ale has a robust and rich malt base that is harmoniously balanced with tropical citrus flavour and aroma provided by abundant Citra dry-hopping. Beginning with sweet caramel and hints of milk chocolate, it ends with a lingering hop finish. The unpasteurized and preservative-free Red Dragon Imperial Red Ale is available in LDBs and LRSs in 650ml bottles with a suggested retail price of $6.25. It can be ordered from the LDB using SKU #77479. It will also be available on draught in select pubs, restaurants, and for growler fills at the brewery. Follow us on Facebook and Twitter for details, including skateboard and snowboard store raffles. 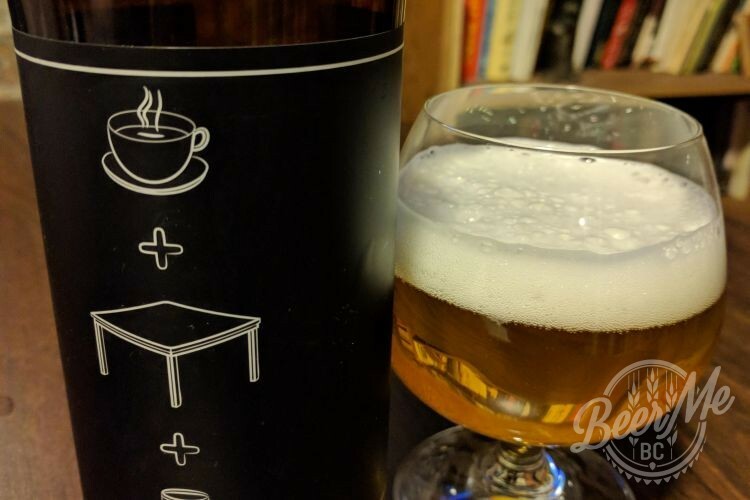 Dead Frog is an independent, award-winning craft brewery in Aldergrove, British Columbia. In January 2006, Derrick and Donna Smith launched Dead Frog with the goal of producing premium quality beer marketed with fun and innovative branding. Today, Dead Frog produces six core brews including the Classic Nut Brown Ale, Seasonal Citrus Wit, and Fearless IPA, along with one limited release beer monthly. Founded by the Red Dragons (est. 1988), Red Dragon Apparel has grown into the largest international skateboard apparel brand ever to emerge from Canada. With a foundation built by skateboard legends Colin McKay, Rob “Sluggo” Boyce and Moses Itkonen, RDS continues in the tradition of backing today’s top Pros and up-and-coming Ams, never losing sight of creating the highest quality apparel and accessories in the industry.